I recently shared this recipe over at Our Reflection. Let me just say that we are huge peanut butter and jelly fans out our house. 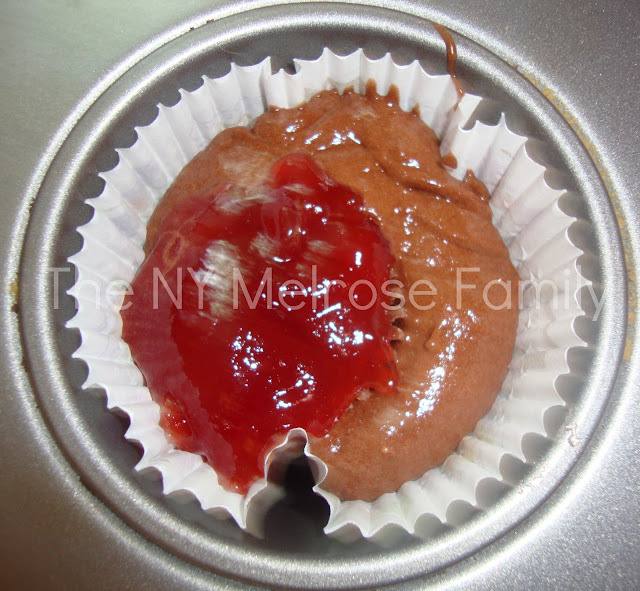 After our recent strawberry picking I made strawberry jam without pectin, which made these cupcakes A-mazing! 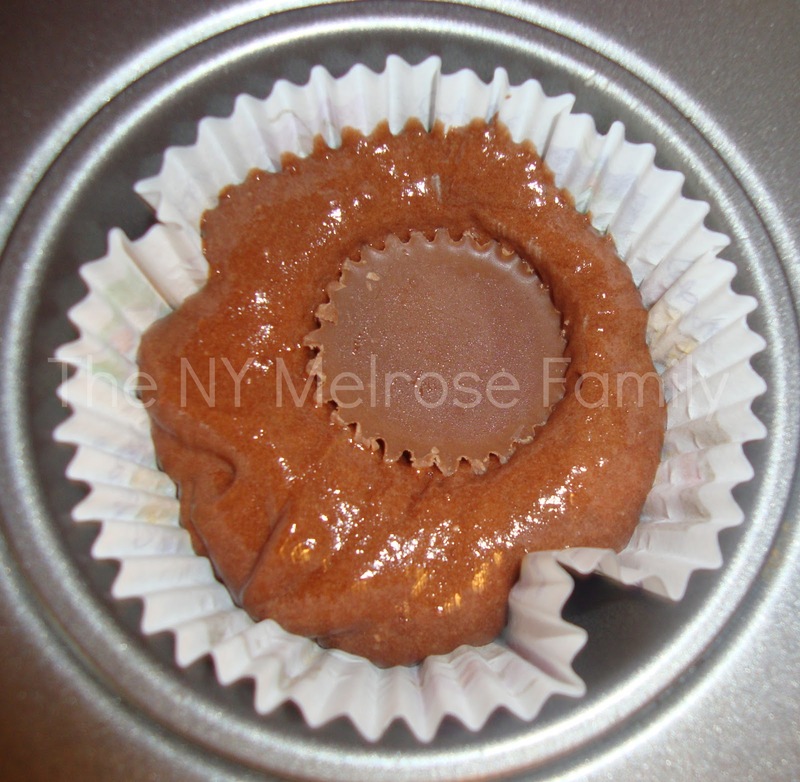 Before you start anything you need to pop 24 Reese’s Peanut Butter Cups into the freezer. I used Duncan Hines Devil Food Cake Mix so they are semi-homemade. Once the cake mix is placed into the baking cups, place the frozen Peanut Butter Cups into the center of the cake mix. My assistant did this for me and it was great because we worked on her directional vocabulary as she placed it into the mix. As you can see we were pretty close to center. Next take a teaspoon of strawberry jam and spoon it on top of the cupcake. You’ll want to fold it into the cake batter. I know you’ve got to be thinking that these sound fabulous, but now we’re only going to make it better because you’ll need to frost on the Strawberry Jelly Frosting. 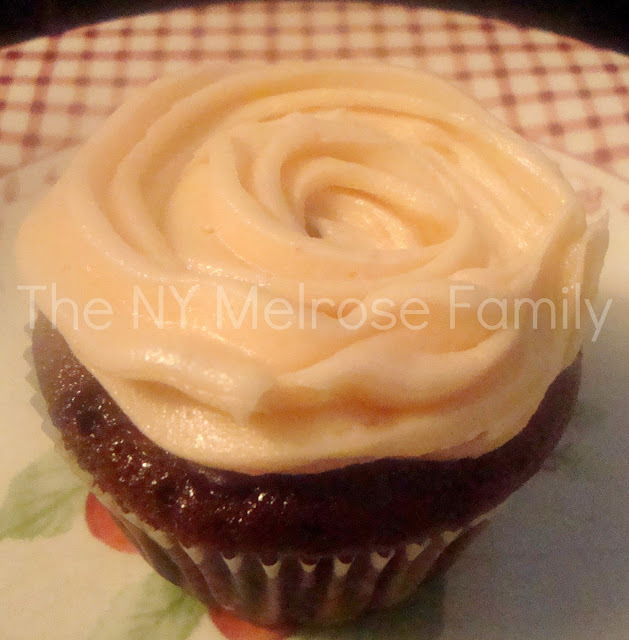 I used the 1M tip to get the rose look to the frosting. 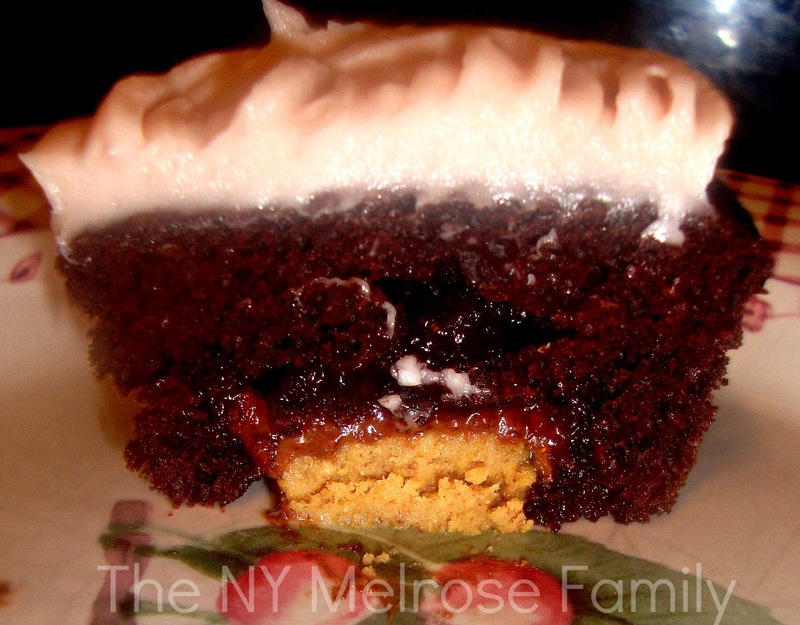 I give you chocolate peanut butter and jelly cupcakes with strawberry jelly frosting! I wish I had gotten a picture of Riley eating it. It was as if each bite was a bite from heaven. “It tastes like candy, mama,” was her comment that made me smile from ear to ear. Beat the butter at room temperature. Then add in vanilla extract and mix this together. Add in strawberry jelly and beat together. Finally add the sugar one cup at a time until you end up with peaks in the frosting. Lip smacking yummy is all I can say! Yum. I also love that the teacher in you came out and you were able to use 'directional vocabulary'…you crack me up :). Your little helper did a great job! Visiting you from Complete Waste of Makeup…those look AMAZING and fun too :)!! Wow! What a great cupcake. 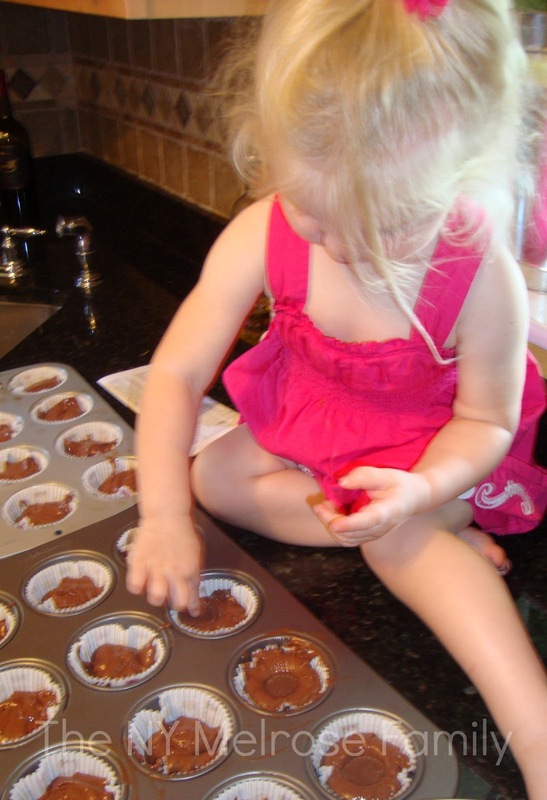 My little helper would love to help me with that job…and eat just as many as she put in the cupcakes, lol. Delish! Thanks for sharing! We would love to have you link up with our party! Those also sound delicious!! Thanks for sharing at Sharing Saturday!! Oh MY!! That's definitely a winning combo. Yum!